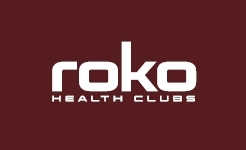 Roko Health Club is a premium, adult only health club in Chiswick, West London. Facilities include a spacious, well equipped fitness area and heated, indoor pool along with Jacuzzi, sauna and steam room. Over 60 group exercise classes every week, including spin, BodyPump, pilates and yoga. Our Touch-base programme is great for those new to exercise or those who have been away for a while. Comprising 2x 1 hour sessions with a REPS level 3 fitness professional and on-going monthly support for the length of your membership.